All play will be governed by USGA rules. If there is a dispute on a ruling and there is no rules official available, play two balls and a ruling will be administered at the scoring area. A participant must announce that they are playing two balls to all other players in the group, as well as letting them know which ball will count if the rules permit. For your own benefit, do not sign a scorecard until a ruling has been made official. For more information regarding USGA rules and decisions, please visit their website: USGA Rules of Golf. Remember! 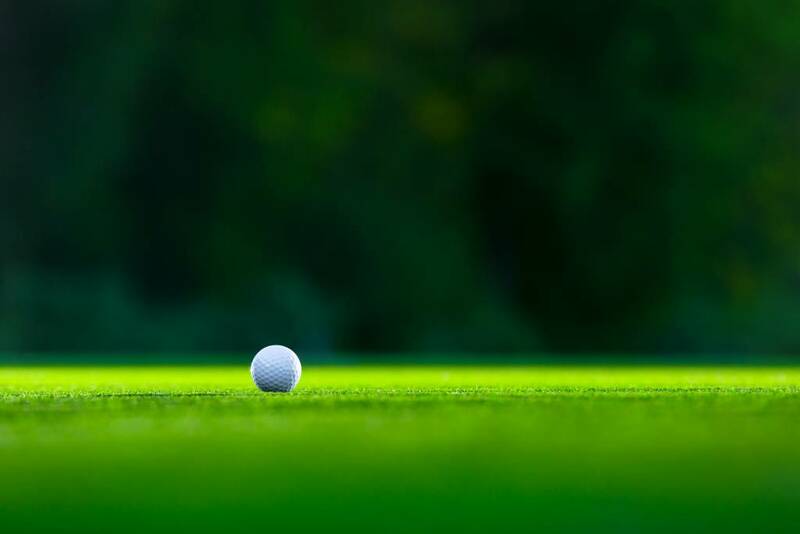 Play the course as you find it and play your ball as it lies! For the 2019 Rule Changes, USGA’s Rules of Golf Explained: New Rules has some great example videos that are short and very helpful. It also gives examples of the most common issues that arise on the course that ultimately affect Pace of Play. The new rules for 2019 give golfers an advantage in many cases and there’s only 12 videos, so please be sure to watch them! There’s even emoji’s! Girls 10-13 will be the only division that allows caddies at all BJGT events. Pull carts are allowed in all age divisions. Motorized pull carts are not allowed at any event. If you are thinking about being a caddie, please familiarize yourself with the rules by following the link 10.3: Caddies. Tie breakers for first place only will be decided by a sudden death 1-hole playoff. The hole(s) that will be played will be determined by the committee. The sudden death playoff will continue until we have a champion. In the event that weather or darkness prevents the tour from completing the playoff hole(s), co-champions will be awarded to each player left competing in the playoff. BJGT allows the use of distance measuring devices at all events. However, devices that measure wind and/or slope are not permitted for use. Please follow the USGA link to see a list of conforming clubs and balls. The official time will be maintained at the registration table or starting tee and will be kept by BJGT staff members. BJGT will make it a priority to play every event in its entirety. We will continue to play in any form of precipitation as well as cold weather. We ask that you review the forecast before a tournament and always dress appropriately. However, BJGT is also concerned with the health and safety of all participants and spectators. All BJGT staff members will be required to have a lightening tracker on their person at all times. If there is lightening or severe weather, play will be suspended. In the event that lightening and/or severe weather persists, the committee may decide to cancel play. An airhorn will be sounded if the committee decides to suspend play and all participants must discontinue any play as soon as the airhorn is sounded. Please mark your ball and return to the clubhouse immediately. If an event is shortened due to inclement weather, there will be no refunds or credits issued. If the circumstance occurs where play must be canceled, the committee will post scores for every 9 holes that were completed. With that said, all participants in the same age division must be through the same 9 holes that day for scores to be posted into rankings. Note, it is possible for one age division to receive rankings and another not to receive rankings if all participants in the same age division did not finish the same 9 holes. In the event that no participants tee off, BJGT accounts will be credited in full, minus a $50.00 administrative fee. Deadlines for tournament registration are 7 days before the first round. This ensures the BJGT accurate numbers of participants to give to our host facility. Justified Withdrawal (JWD) – The player is visibly ill or has been injured and physically cannot finish the round. The player must report a withdrawal to a BJGT staff member that day and they will be recorded as a WD in the tournament results. Once reported, the player has 72 hours to submit a doctor’s note to info@bjgt.us, no exceptions. Please include the participant’s name and reason for withdrawing in the email with the doctor’s note. Once received, the player’s tournament results will be changed to a JWD. If a doctor’s note is not received, an unjustified withdrawal (WD) will remain. Other reasons for withdrawing will be decided on a case by case basis. Unjustified Withdrawal (WD) – An unjustified withdrawal is a situation where a player withdraws due to poor play or lack of ambition. An unjustified withdrawal also includes withdrawing for any reason without notifying a BJGT staff member. An unjustified withdrawal is taken seriously to ensure the integrity of the game is upheld. Disqualification (DQ) – used when a rules violation necessitates a player’s disqualification. No Show (NS) – when a player fails to appear for his/her starting time without prior notification. No Card (NC) – when a player fails to turn in their scorecard. Players who fail to complete an event (WD, DQ, NS, NC) will have all completed rounds (18 holes) entered in their record to be used in their ranking, or they are reported as a “Justified Withdrawal”. If a player accumulates more than three WD’s or other violations, the committee may decide to suspend their membership. Please read the refund policy in full before registering for any BJGT event. Any refund request made 8 days or more prior to the date of the first round will be credited in full, minus a $50.00 administrative fee. If a player needs to unregister, please send us an email with the player’s name to info@bjgt.us. You can use this credit towards future BJGT events if you choose to do so! Any refund request made after midnight (EST), 7 days prior to the date of the first round will not be refunded. No exceptions. If a player withdraws during this time frame and qualifies for a JWD, please reference the JWD withdrawal policy above for instructions, otherwise, a WD will be given. If a membership is suspended or cancelled, no refund will be given.